Biography: Jan Flawn CBE is founder of PJ Care Ltd. Leaving school with no qualifications Jan became a registered nurse, rising to be a senior manager in the Department of Health. In 2000 Jan started PJ Care after seeing young people with neurological conditions living inappropriately in care homes for the elderly. Employing over 500 staff, PJ Care is a national leading, award-winning provider of specialist neurological care and neuro-rehabilitation. Jan won the national CBI First Women Business Women of the year award in 2013 and was awarded a CBE in the Queen’s Birthday Honors in 2014, for “services to the care home business and charitable fundraising”. Jan also received an honorary degree of Master of the Open University in 2015. 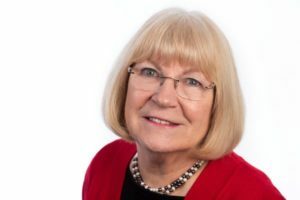 Jan Is founder of the Women Leaders UK Awards and is also promoting STEM into schools visa annual STEM Festivals to support of the government’s vision for the Cambridge – Milton Keynes – Oxford corridor.